Body parts keep turning up, in a string of seemingly-unrelated cases, in this mystery by forensic anthropologist Kathy Reichs. It's the sixth adventure for her fictional counterpart, Dr. Temperance Brennan, who quickly finds out how dangerous her job can be. Kathy Reichs, like her character Temperance Brennan, is a forensic anthropologist, formerly for the Office of the Chief Medical Examiner in North Carolina and currently for the Laboratoire de sciences judiciaires et de medecine legale for the province of Quebec. A professor in the department of anthropology at the University of North Carolina at Charlotte, she is one of only seventy-nine forensic anthropologists ever certified by the American Board of Forensic Anthropology, is past Vice President of the American Academy of Forensic Sciences, and serves on the National Police Services Advisory Board in Canada. 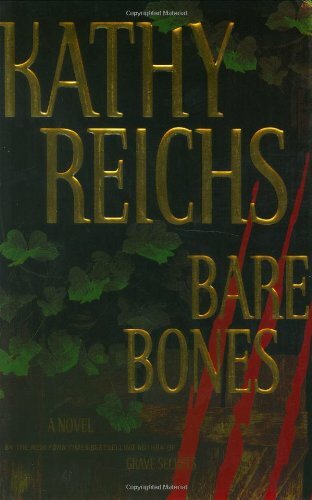 Reichs's first book, Deja Dead, catapulted her to fame when it became a New York Times bestseller and won the 1997 Ellis Award for Best First Novel. Her novel Devil Bones was a #1 New York Times bestseller.